Is Imitation Really the Highest Form of Flattery? An invitation to a Investment Management and Hedge Fund Roundtable plopped in my Inbox this afternoon. It wasn't a relevant topic for me, so I was on the verge of just trashing the message when I noticed in the preview pane a familiar logo. I thought it was from the Boston Business Journal, but no, it wasn't. It was the logo for Pepper Hamilton, LLP. Logos often serve as the first visual introduction to a company. Think of all the hoopla around the recent logo updates for Gap, Starbucks, and JCPenney. 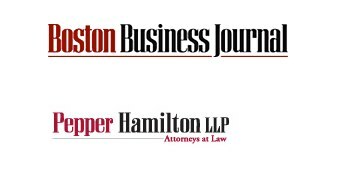 Now granted, a law firm does not target the same demographic as major brands like Gap, Starbucks, or JCPenney, but I'm willing to bet that the folks that the Pepper Hamilton Boston office work with do read the BBJ, and would recognize the logo. 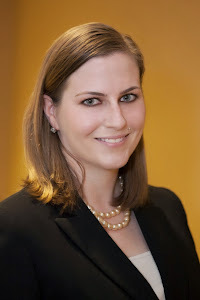 If you were shopping for a law firm, and found a similar situation, would it impact your impression of the firm? I had a quick watercooler chat with a friend this morning. He asked me how my morning was going, and I replied that it was a good morning, because I had managed to clear my queue of customer emails. And I mentioned a small bug in our system was causing a small problem, so most of the emails were about the same thing. "Yeah, that's when you hit copy and paste," he said, grinning. I smiled back as I picked up my water bottle and headed back to my desk. But my real answer to that is: I don't copy and paste. I work for a small company and we are establishing our niche in a mature market with some very big dogs. Last year, after surveying the landscape, I began building a strategy around competing on service and experience. (Not to mention that my personal business principle is based on the highest standard of service.) Part of this strategy is that we never respond to customer emails with a cookie cutter answer. This means that if you purchase a domain from my company, and you have a problem and you send me an email, I will actually read your email. I will look at your problem, and you'll get back a real email written by me just for you. Sometimes, I include a link to our FAQ section, but I'll always explain my answer personally. Not only that, but if I wrote you back, and I didn't have a complete answer at the time, I'll write you another email when I have more information. 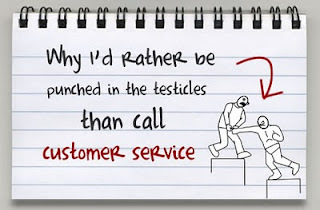 All of this grows out of my personal vision for business: high quality customer service. I pay attention when I am shopping, and I notice good and bad customer service. Yesterday, I bought a microphone for my office computer to record voiceovers for a video tour I was building. I got it back to my desk, and found the adapter wasn't the right kind, so I walked back to the store and returned it for a different model. The whole time I was there, the clerk didn't say a word to me, except for "Can I see an ID?" 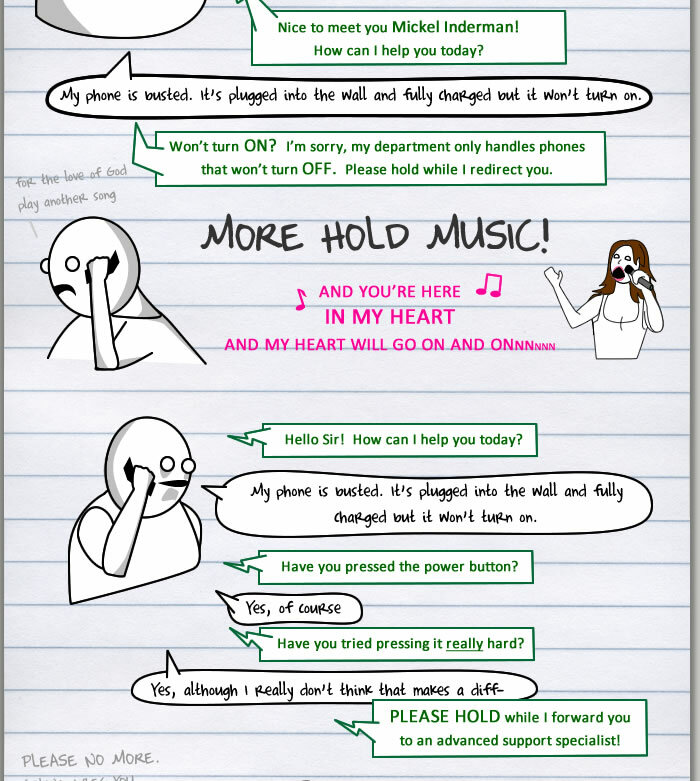 Instead, she chatted away on her headset to another clerk somewhere else in the store about weekend plans. This had the effect of making me feel like I was invisible. Sure, I got my replacement without hassle, but it would have been nice to have my existence acknowledged during the transaction. Now, when I consider that my customers will never actually see me, since I work for an online company, it becomes even more important to write those personalized emails. I won't have the opportunity to smile and greet them the way this clerk did. In the online world, everything seems to be automated. We have automated emails to confirm purchases, but I want our customers to know that there is a real person behind those emails, someone who cares about their concerns and wants to help them. Yesterday, I got a customer call with questions about a new program we have on our site. I spent a long time answering his questions and explaining the program to him, and then he said, "On one of your FAQs at the bottom, there's a lot of marketing fluff in the answer, but no real answer." And I admitted he was right, because he was. I spent the afternoon rewriting the answer.